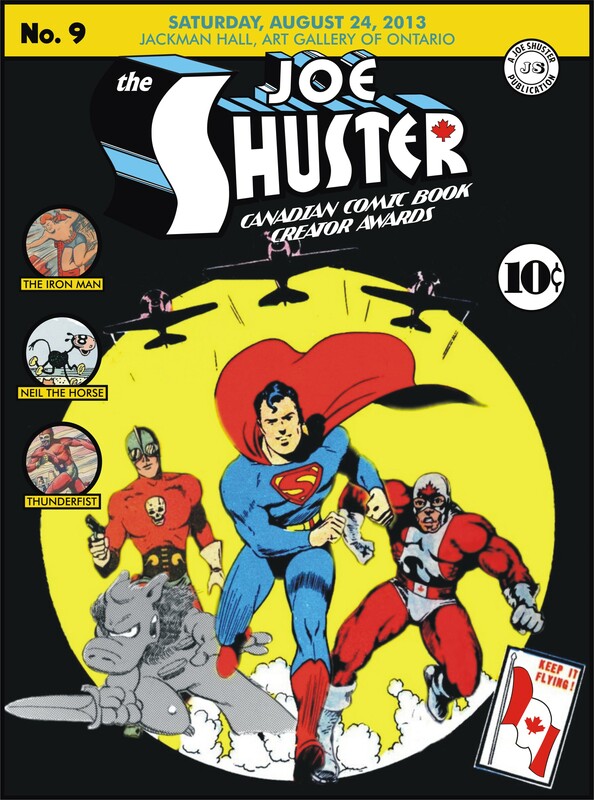 In Spring 2005 the first annual Joe Shuster Awards for Canadian Comic Book Creators was held at the Paradise Comics Toronto Comicon and a lot of great books and talent have been honoured over the decade since then. 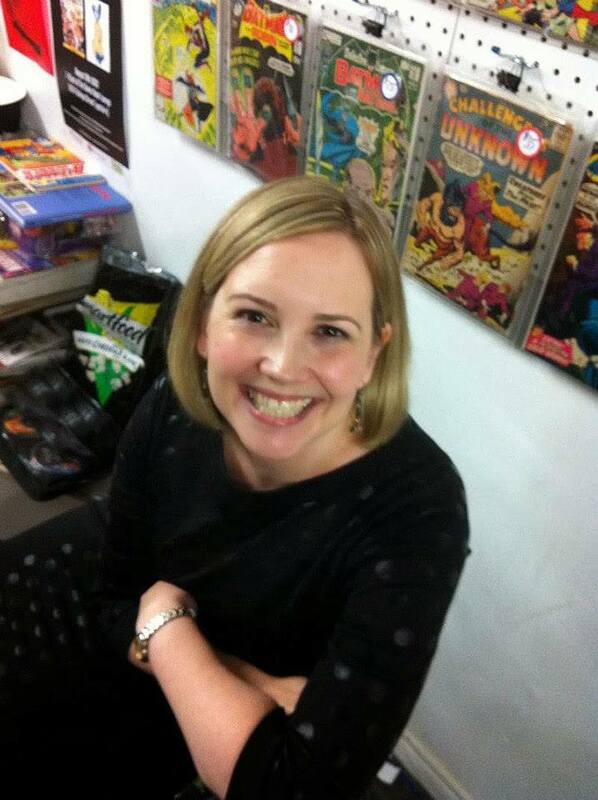 As 2013 draws to a close, please join us as we present an overview of 9 years worth of Joe Shuster Award Winners. Note that some winners in 2005-2008 were selected by public voting. In 2009 all categories became jury selected. 2008 – David Watkins for using comics as a teaching tool. For Artist, Cartoonist, Cover Artist, Writer: John Babos, Erik Bouchard, Laurent Boutin, Shawn Bryan, Jeff Brown, Amy Chop, Tyler Jirik, Mike Jozic, David Kelly, Patrick Marleau, Conor McCreery, Alice Quinn, Rachel Richey, Andrew Wheeler, Leonard Wong, Sarrah Young with additional input from Bill Code, Kelly Dowd and Andrew Uys. For Webcomics: Tyrone Biljan, Allison Covey, and Andrew Walsh. For Hall of Fame: Kevin A. Boyd, Walter Durajlija, Joseph Kilmartin, Ivan Kocmarek, Robert MacMillan, Hope Nicholson, Robert Pincombe, and Rachel Richey. For the Gene Day Award: Tyrone Biljan, Kevin A. Boyd, Peter DeCourcy, Rachel Richey, and Debra Jane Shelly. For the Harry Kremer Award: Anthony Falcone and Scott VanderPloeg. With additional input from Robert Haines (research) and the CCBCAA secret shopper team. For the Dragon Award: Jennifer Haines (coordinator) and a team of her fellow educators: Beth Alexander (BEd – elementary) and Diana Pai (BEd). 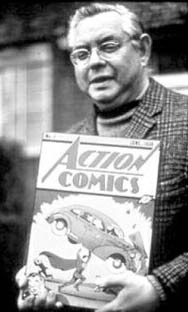 2013 marks the 75th year since the debut of Superman by Jerry Siegel and Joe Shuster in the pages of Action Comics #1. Tom Grummett prepared this portrait of Joe in 2005 that has adorned the Joe Shuster Award plaques ever since. Fun facts: Joe was left handed, the building in the background is the original Toronto Star building that inspired the Daily Star / Daily Planet building in Superman’s Metropolis. 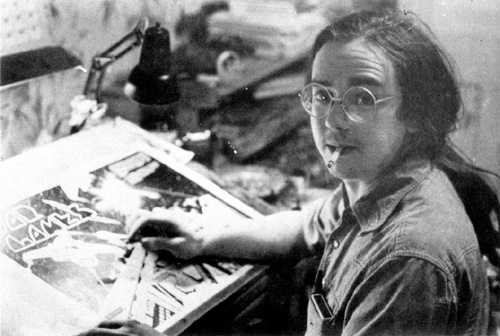 On the drawing table behind Joe is an earlier version of ‘The Superman’. Canada has a rich tradition of supporting our national arts communities with awards that recognize the achievements of our citizens like the Genie Awards for film and television and the Juno Awards for music – the JOE SHUSTER AWARD is Canada’s national award that honours and raises the awareness of Canadians that create, self-publish and sell all kinds of comics, graphic novels and webcomics. 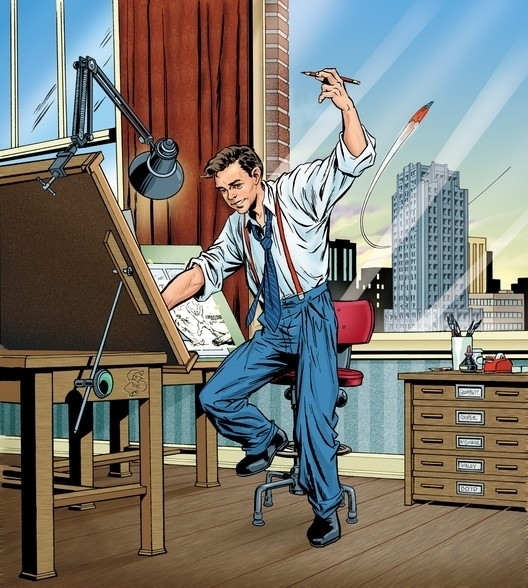 They are named after pioneering Canadian-born artist Joe Shuster (1914-1992), whose clear, dynamic style and inventive visual flourishes set the standard for graphic storytelling during the infancy of the North American comic book industry. It was Superman, a co-creation of Shuster and his friend Jerry Siegel, that electrified the industry 75 years ago in 1938 and, almost overnight, transformed comic books into an enormous pop-cultural phenomenon. Nominees were selected this spring from lists of creators including all eligible original works published and distributed during the year 2012. Qualifying creators must be Canadian citizens living at home or abroad, as well as permanent residents in Canada. 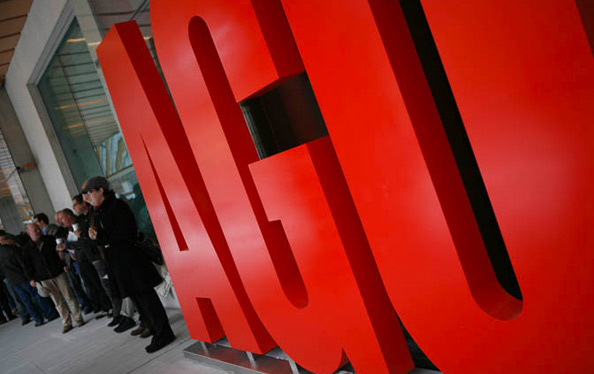 The award winners will be chosen by a jury vote to ensure every nominee is given adequate consideration. The awards will be presented at a gala ceremony in Toronto, open to the public, on the evening of Saturday, August 24, 2013 at 8:30 PM. 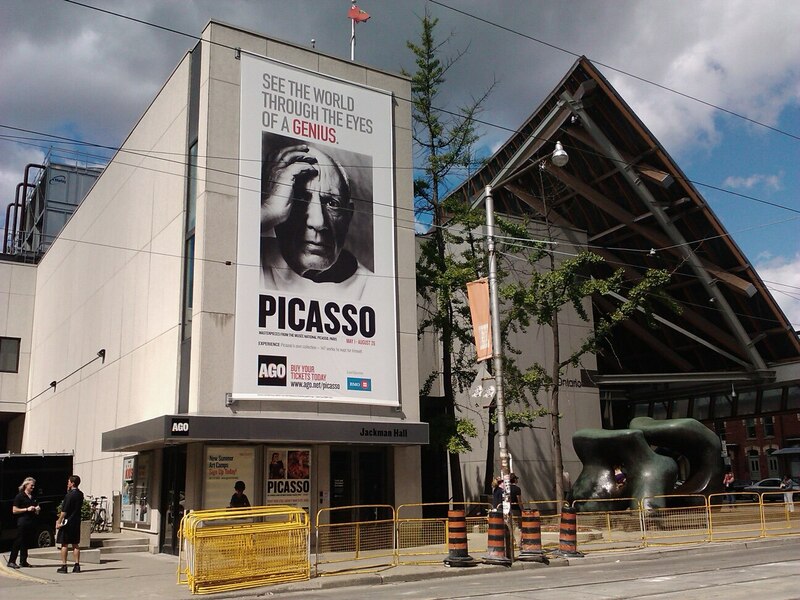 This year the awards will be held in JACKMAN HALL, at the Art Gallery of Ontario, 317 Dundas Street West, Toronto. Please note: we do this for the purpose of transparency. Currently underway is the nomination process for the annual Joe Shuster Awards. The 20 members of the nominating committees (there are 2) have tabled their initial selections. We have two concurrent committees one for English language releases, and another for French. Ultimately we aim to have 7 nominees for each of these four categories – 5 English and 2 French. In the case of a tie, we may advance an additional nominee, increasing the final number of nominees in that category to no more than 8. Results Round 1 – Having Received 2 or more nominations – therefore advancing to Round Two. Please note: this is not the final nominations list, the final nominations will come from within this list. The following creators were selected by more than one member of the 16 member English Language Nominating Committee and therefore advance to Round 2 (the overall rankings where all are considered by every member). Any creator appearing on 8 or more of the the NomCom short lists automatically bypasses Round 2 and is on the final ballot (but we won’t be sharing who they were until the final press release). The following creators were selected by more than one member of the 4 member French Language Nominating Committee and therefore advance to Round 2 (the overall rankings where all are considered by every member). Any creator appearing on 3 or more of the the NomCom short lists automatically bypasses Round 2 and is on the final ballot (but we won’t be sharing who they were until the final press release). The nominees have been selected. And that is where we stand. 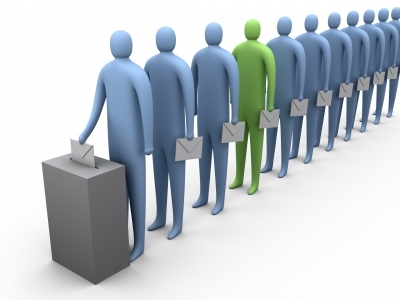 The French NomCom has finalized their selections for the ballot, while we are still in the midst of finalizing the selections from the English Language NomCom. Watch for the final list in May. So everything is well under way now here at JSA central. We’re once again aiming for a Free Comic Book Day (May 4th) deadline for our nominee announcements. Lost Heroes is a feature documentary set to air on Super Channel in 2013. We explore the history of the great Canadian superheroes, from Johnny Canuck to Captain Canuck. Currently in post-production. 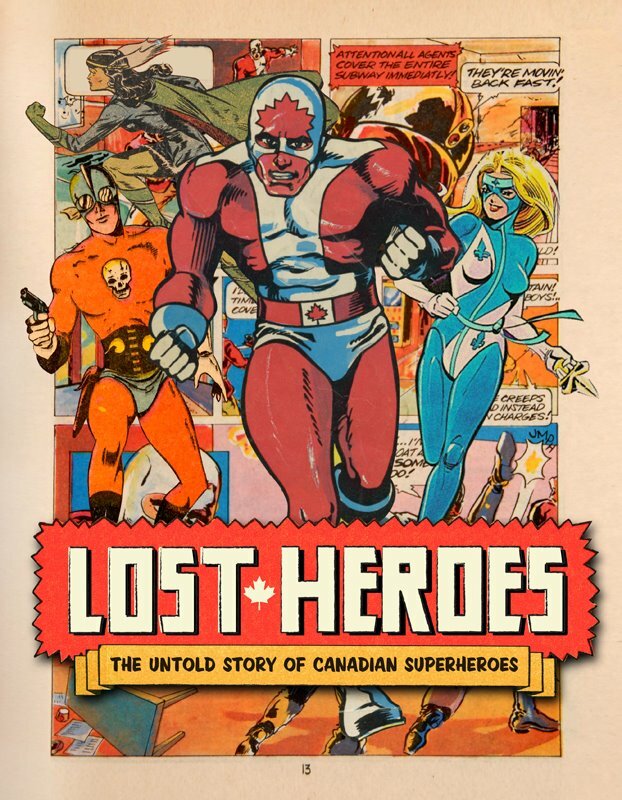 Lost Heroes explores the past of the Canadian superhero, from the golden age when millions of children read the tales of Inuit goddess Nelvana of the Northern Lights, to the thrilling days when Canadian superheroes returned to the newstands with Captain Canuck and Cerebus. Lost Heroes celebrates the unique Canadian talent behind these characters and asks why can’t Canada keep their heroes? Mister Monster by Fred Kelly, Captain Canuck by George Freeman, Fleur-de-Lys by Ken Steacy, with Adrian Dingle’s Nelvana and other characters in the background. In what I’ve seen of it, this is a top-notch, professional production and I think it will be a great chance to expose a lot of people to Canada’s comics past, as well as it’s present and future. With the completion of the eligible English and French list I’ve spent some time perusing the lists to play my guessing game of who I think the nominating committees will be selecting for the 2013 Joe Shuster Awards, and I think that this year’s list is strong, but seems to working from a smaller pool than in previous years. That certainly means that a lot of projects by people absent this year are on the horizon, but I’m eager to see who the nomcoms select. Currently we have 19 individuals participating in the Nominating Committee for Artist, Cartoonist, Cover Artist and Writer. They come from across the country, but as per protocol we won’t be publishing their names until after they have finished their selections in case anyone drops out before the end. Our Hall of Fame selection committee has expanded quite considerably this year, to make up for last year’s year off. Of the seven members, only three have participated in previous HOF nomcoms. Maybe I can convince them finally to rename the HOF “Hinterland’s Who’s Who”. To be announced June 4th, 2013. Thanks Laurent Boutin, Patrick Marleau and in particular Eric Bouchard for putting this list togerther. In case you were wondering, we are now accepting physical copies of self-published comics and original graphic novels for consideration for the GENE DAY AWARD. Copies can be sent to the Comic Book Lounge in Toronto where they will be gathered for review by the Gene Day Award Coordinator and the Jury for this award. The comic had to have been released (but not distributed through Diamond or any official channels) between 1/1/2012 and 12/31/2012. Deadline to submit is May 16, 2013. A new year is well underway and we are getting back to business here at JSA central! Unfortunately, I was not able to run a wrap survey for 2012 as I normally do, work on the store and various events (such as the 24 Hour Comic Challenge we ran in-store this past Saturday at the Comic Book Lounge) have been keeping me pretty busy. Currently being assembled for a late January release will be the LIST OF ELIGIBLE CREATORS AND 2012 PUBLICATIONS list, and if you want to be proactive and make sure your comics projects are recognized you can email me at kevin@joeshusterawards.com and I’ll update the list. Current plans are for the nomination process to begin in earnest on February 1, so if you are interested in participating in nominating the 2012 award categories, you can email me at the same address listed in this article. A later start for the process does seem indicative of an awards ceremony for later in 2013, and that is once again the case — as we have a weekend in mind, an event and a city in which to hold the ceremony, just not an official venue yet. Current plans are for the ceremony to take place in late summer at a venue that will be announced in March when the nominations are announced. As the year begins winding down, we begin the finalizing of the list of eligible publications and creators for the 2013 nominating committee to make their selections from. In early November we had some meetings to discuss the direction the awards will take in 2013, the positions needing to be filled, and a number of new folks have joined the CCBCAA team. We’ll have some news on the various fronts in early 2013 as well as the city, date and convention that we plan to coincide the award presentations with. As we near the holidays, now is a great time to consider buying comics or graphic novels for your friends and loved ones as Christmas gifts. We hope you’ll consider the many great works by Canadian creators… some recent arrivals that would make great gifts: The Flash New 52 Vol. 1 hardcover (by Francis Manapul), Parker – The Hunter softcover edition (by Darwyn Cooke), and the X-O Manowar Vol. 1 trade paperback (art by Cary Nord). Recently, All New X-Men 1-3 (4 is out next week) has been a bona fide smash hit (art by Stuart Immonen). Congratulations also to Jim Zubkavich and Ray Fawkes for their recently announced gigs writing for DC Comics (Birds of Prey and Batgirl respectively), and Jeff Lemire will be moving over to write Green Arrow in February, and as Sweet Tooth concludes in early January comes word that he will have a new Vertigo series to be released sometime in 2013. J. Bone will be drawing a new Rocketeer mini-series in February, and Kill Shakespeare will be returning that month as well, as the original creative team reunites to continue the tale. Things may have slowed down considerably here on the site lately, as running a store as well as the awards, parts of the country’s largest comic-con and a day job have really taken a toll on my time. I had never expected to own a comic shop, but The Comic Book Lounge + Gallery has been growing steadily since we opened it back in February. Huge props go to manager Joe Kilmartin (formerly of the JSA Executive and former manager of Dragon Lady Comics), for handling the day to day aspects of running the Lounge. If anyone has any interest in posting news items and articles here on the website, please contact me at kevin@joeshusterawards.com and we’ll get you hooked up. It has been a very busy summer for everyone, with plenty of great news coming out of the San Diego con. A new series from Ed Brisson, Michael Walsh and Jordie Belaire called Comeback for Image. Also at Image, J. Bone will be doing a series called The Saviours with James Robinson, Darwyn Cooke will be doing at least two more Parker novels with The Hustle set for release in late 2013. Dale Keown will be joining Jeph Loeb for something called A Plus X. Of course, the big news were the Eisner Awards, which have been summarized elsewhere on this site. Congratulations to the class of 2012! Darwyn and Ramon face off again in September in the Cartoonist category here for the Joe Shuster Awards. The juries for 2012 have been selected and are beginning their review process. Thanks to the publishers who assisted us providing copies of nominated books for the jury to review. In this regard The Comic Book Lounge has become an official sponsor of the Joe Shuster Awards, providing some of the books not obtainable from the publisher directly. It has been a big summer for books as well. Richard Stark’s Parker: The Score by Darwyn Cooke was released last week to great acclaim, the colourized Scott Pilgrim Volume 1 by Bryan Lee O’Malley and Nathan Fairbairn is set to arrive next week, as is Jeff Lemire’s The Underwater Welder. The collected glamourpuss – Volume One (Issues 1-25). The first collection of Dave Sim’s Joe Shuster Award-winning glamourpuss will be a DVD collecting PDFs of every page of issues 1-25 including all variant covers as well as hi-resolution digital scans of the original artwork of every page before lettering. 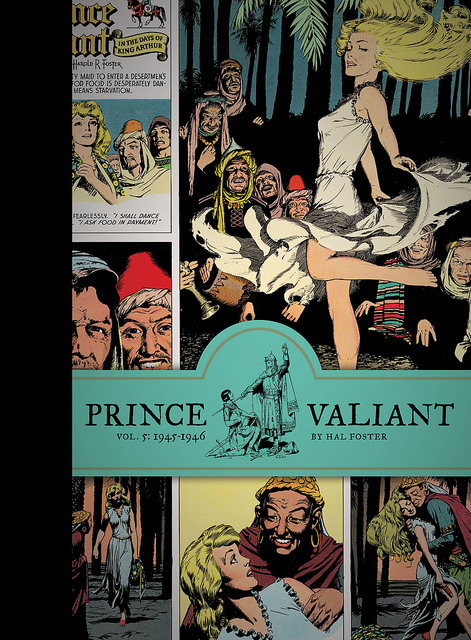 This release may be followed by a similar collection for Cerebus Archive. However, at this time, there are no announced plans for a print collection. No word yet on when, where and how this will be available for ordering. Four major book releases featuring the work of Canadian creators scheduled for next Wednesday. June 6th. THE LOXLEYS AND THE WAR OF 1812 from Renegade Arts Entertainment. Written by Alan Grant, pencils and inks by Claude St. Aubin, colours by Lovern Kindzierski, edited by Alexander Finbow, letters by Todd Klein. 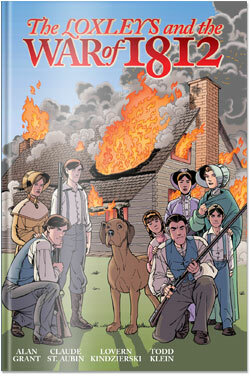 Celebrate the 200th anniversary of the War of 1812 with this 175 page, beautifully colored, hardback graphic novel features a 101 page historically accurate comic strip about a Canadian family caught up in the war and a 64 page summary of the war and itʼs implications for Canada and America written by acclaimed Canadian military historian Mark Zuehlke, includes maps and illustrations. $19.99 Age 10 and Up. BACK ALLEYS AND URBAN LANDSCAPES by Michael Cho. Drawn and Quarterly. 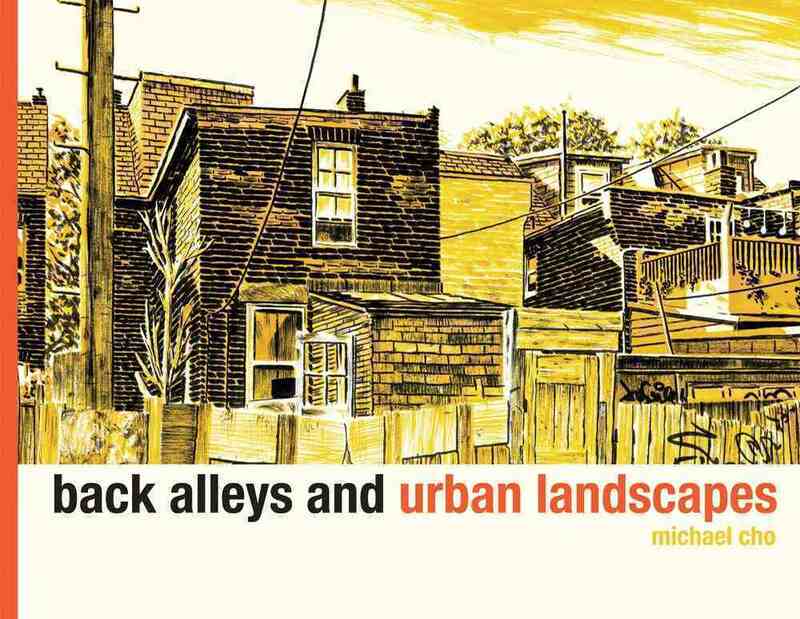 Michael Cho began creating drawings of the back alleys near his Toronto home in 2008. With this book, he has amassed a collection that speaks to the beauty of the urban landscape: sometimes grittily citified, sometimes unexpectedly pastoral, and always bewitching. Cho is a skilled draftsman, and Back Alleys and Urban Landscapes shines with lovingly rendered details, from expletive-filled graffiti splayed across backyard fences to the graceful twists of power lines over a bend in the road. Back Alleys and Urban Landscapes meanders through the city, functioning as a sort of caught on-paper psychogeographical Jane’s Walk. With each season’s change, different color schemes become dominant, and a whole range of moods and moments are articulated. Cho lets the reader visit his city as a virtual flaneur, lingering equally over dilapidated sheds and well-groomed gardens in a dazzling tribute to the urban environs. Paperback, 9.75 X 7.5, full colour, 80 pages. $19.95. 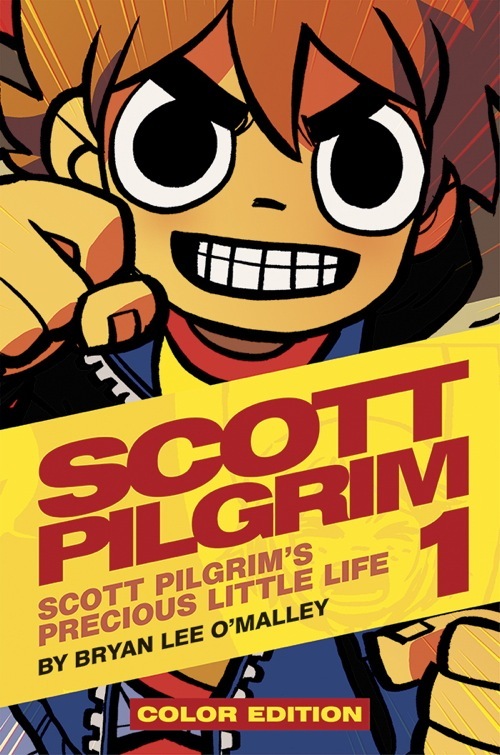 This August, Oni Press and Bryan Lee O’Malley will be bringing the uber-popular Scott Pilgrim series back to store shelves, but this time as an ultra-swank, 6 X 9, full-color hardcover edition. Scott Pilgrim Color Hardcover, Volume 1 reprints the Scott Pilgrim’s Precious Little Life for the first time in full color. The digital coloring is by the Shuster Award-nominated (and WINNING) artist Nathan Fairbairn, the colorist for Batman Incorporated and Swamp Thing, and the whole thing is capped with a new cover from O’Malley. Help Publish Murder Book Vol. 3! I’m a big fan of crowdsourced comics, and here’s a chance to help out a JSA nominee! 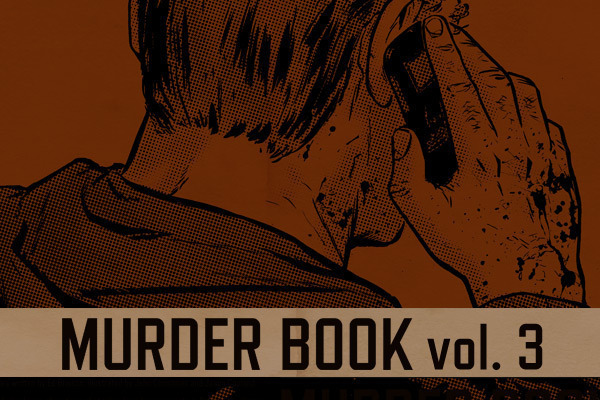 Ed Brisson’s fantastic Murder Book series has already had two issues published, and now Volume 3 is coming out in March. 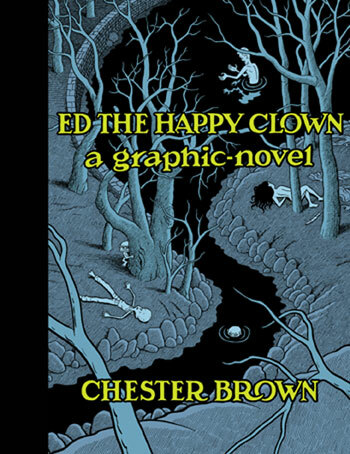 You can help out for $7 and get a fresh, signed copy when it’s printed, shipping included! Or even better, throw in a few dollars more and you can get the back issues of Murder Book as well as Ed’s amazing Acts Of Violence anthology. It’s a great way to get money directly to the creators. Check it out at Indie Go-Go and choose your level of support.